It’s pretty amazing where a small 18-month boy gets all his energy. The minute my son learned how to walk, he starts roaming around our small condo home like a conquering knight. Every now and then I would hear a discomforting cry and see my kid with a red bump on his forehead or a small scratch on his leg. Even after installing child safety locks and placing padded mats, I realized that it is quite impossible to fully childproof your home, unless of course you take out all your furniture. The only time that our son can freely roam around is when I take him to the mini-park or the basketball court. Nonetheless, I always worry about him hitting himself with other running kids or tripping on the cemented floor. So how do we allow some freedom to our little explorer while sparing myself from being the over-protective mom? The answer - take him to a padded playing area where he can freely wander and rumble. 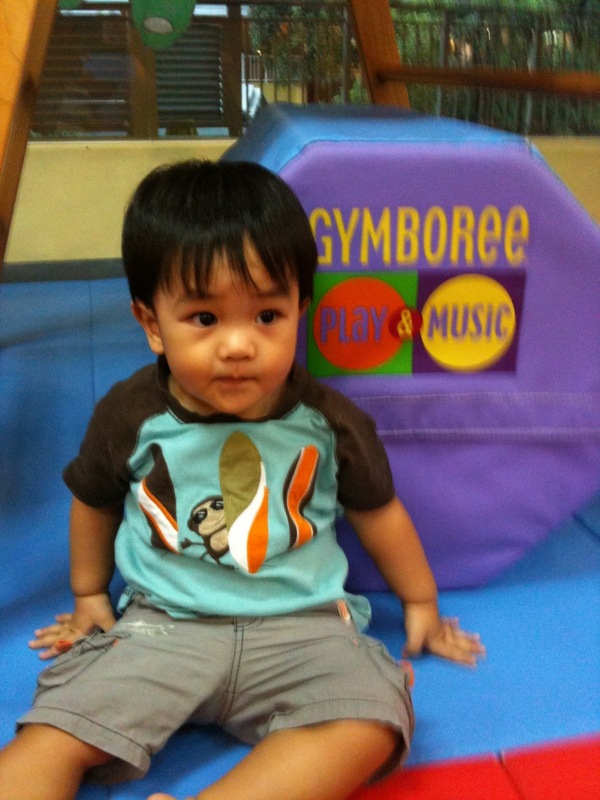 I’m so glad that we have a Gymboree Play & Music near our place. Just last week, I decided to take him there for gym play. Their gym area was like a play paradise for my son! It was colorful, spacious and most importantly padded. For the first time, he tried climbing up the slide on his own. I did not have to hold his hand because it was just the right height for him and if ever he falls, I know he’ll land safely. Unlike the other playhouse that he used to frequent, Gymboree does not have a lot of toys that steals away his attention. Instead, they have big foamed balls that he can push, giant tubes he can bounce from and tunnels he can creep into. It is simply a place where he can freely enjoy and use up all his energy. 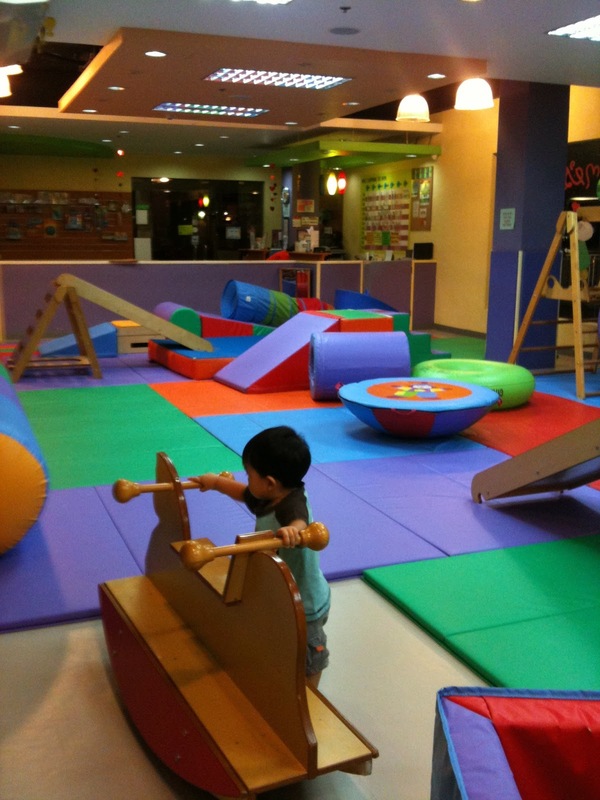 It is ideal for developing my little toddler’s motor skills while socializing with other kids. Without much thought, I signed up for an annual membership worth 2,000 Pesos. It comes with 5 gym play coupons, worth 350 Pesos each, a 20% discount on gym play, 2 free Play & Music classes outside the Philippines and a free portrait session from Picture Company. Initially, I was thinking of getting him the lifetime membership for 4,000 which comes with 10 gym play coupons and the same discount until he turns 5 years old. But I'm worried that it's not going to be worth it since he might eventually get bored and prefer to play somewhere else. For now, we'll just use up his free coupons and later just pay 280 Pesos for every hour of gym play. I plan to take our little boy in Gymboree once a week. It will give him a good workout and an opportunity to play and mingle with other toddlers. This could be our mommy and son day that we both can look forward to every week. Maybe afterwards, we can hang out in his favorite bookstore or check out some toys in Toys ‘R Us and share some frozen yogurt.